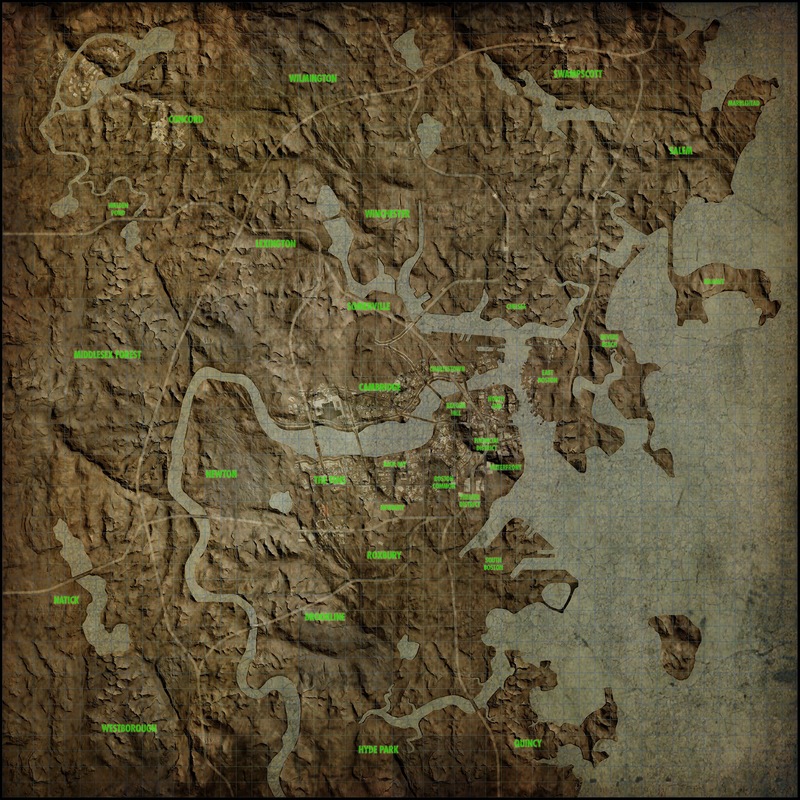 The link above is a hi-res Fallout 4 map that is blank and only names the towns / cities of the Commonwealth. The source says "found in game files". Click the Fallout 4 map above to view the full printable version.